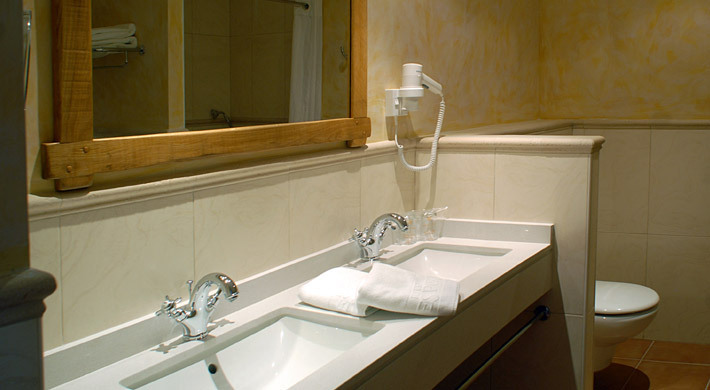 Hotel Es Port has 16 Junior Suites located around the various buildings. 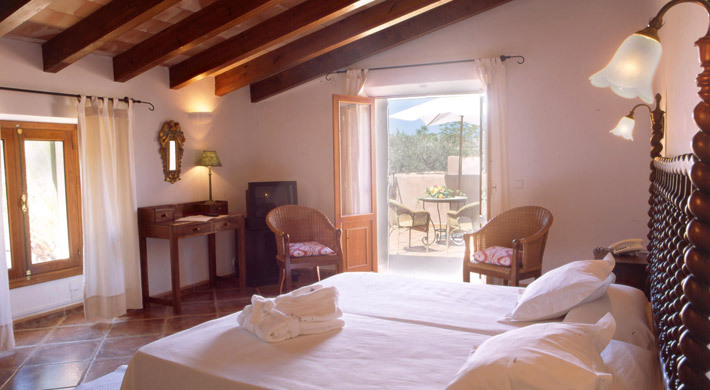 All have a terrace or balcony and beautiful views over the mountains and gardens. As the house is old, you can expect each room to be different, each with its own charm. Some of the Junior Suites are on two levels, connected by stairs. 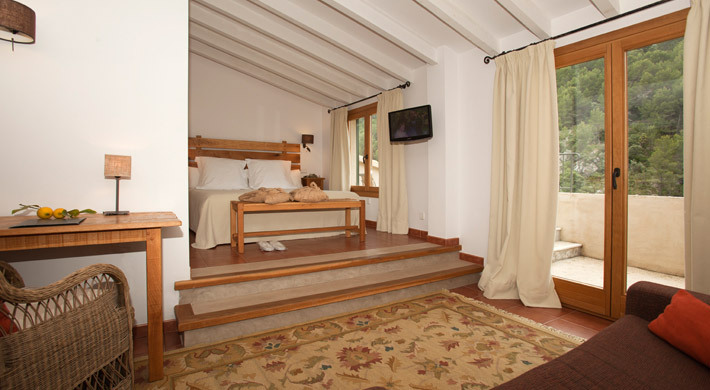 These rooms are very spacious, bright, comfortable, warm and cozy. They are decorated in a cheerful, rustic-elegant, practical yet functional style.